You can never go wrong with Vanilla Cupcakes, it always sure to please even picky eaters! We love vanilla cupcakes because they will go with just about anything, are fabulous for any occasion, everyone seems to love them, you can fancy them, change the color of the icing, decorate with lots of color or keep it subtle. The options are endless when it comes to vanilla cupcakes and we love it! You can decorate them the easy way and it looks so good. Just like in our picture you can use cute little flags or other decorations that you just stick in with the toothpick, a couple of sprinkles or pearls, really whatever you want, choose your color scheme and have fun! We love the icing on this one it’s just so divine and we think you’ll love it too so now on to this yummy Fancy Vanilla Cupcake Recipe! 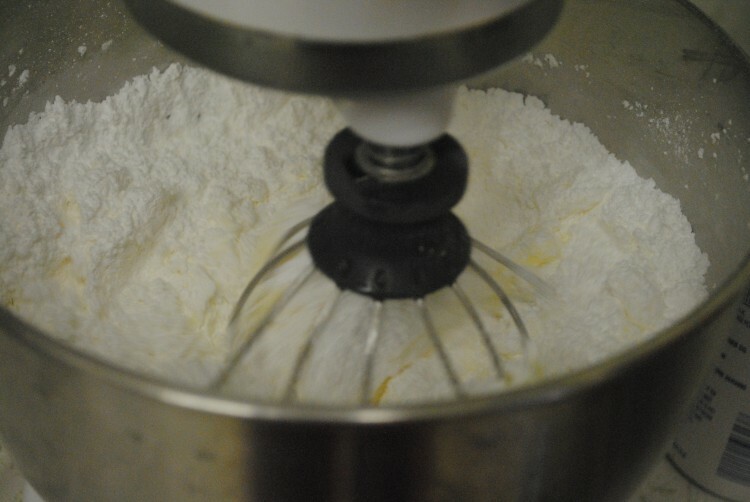 2 tablespoons of heavy whipping cream. 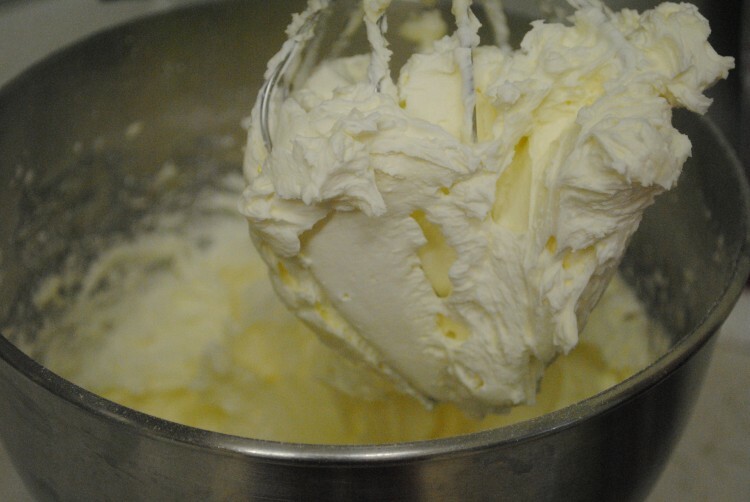 Add the heavy cream to the mixing bowl to smooth out the frosting. Pipe the frosting onto the cupcake and place the edible pearls onto the top of cupcake. Is your mouth watering yet at all that cupcake goodness? I know it’s always more work to do cupcakes from scratch but it’s totally worth it! I love baking with my daughter and doing vanilla cupcakes from scratch gives us that fun time of just doing something together and then of course enjoying the fruits of our labor or in this case the cupcakes of our labor. We really enjoy that part I must admit! Don’t these just look good enough to eat? Um well yeah of course that’s the whole point! One part that I think is lots of fun with younger kids and something I did with my daughter when I was younger was that we would let them do the decorating part. We would put the icing on but give them all the fun decorating tools, lots and lots of different colored sprinkles, stick ems as we used to call the little decorations that were attached to toothpicks, there always so many you can select from and the best part is those ones you can get from the dollar store! We hope you enjoy these! What is one of your favorite treats to make or just eat? I love the smell of vanilla through the house and your decorations are lovely! These look perfect! Fantastic cupcakes! Thanks for sharing! As much as I love Chocolate, I have to say these vanilla cupcakes really look delicious. I guess I should mix it up and try this as a dessert. Thanks a lot! These are so pretty. They’d be great to serve at a shower, or even a wedding. its never too early or too late for a cupcake. YUM!! Th we look amazing- pinned the recipe for future baking! Whoa – I hate when things self-correct to weird thing… Should sat THESE look amazing! Thanks for posting these little beauties,cant wait to try them ! This looks fantastic! I do love cupcakes! Thank you for sharing! I am a softy for cupcakes and you did such a beautiful job! They look so yummy! I appreciated the photo instructions as I am a very visual learner. Yummy! I’ve never tried making cupcakes from scratch but these look awesome! Wow what lovely yummy looking cupcakes, that frosting is to die for. I am going to make these as soon as possible. Thanks for the recipe. These are so pretty – I love how much icing they have! We all love cupcakes. Usually make them a lot of times instead of a cake for birthdays. These look so elegant with the pearls on them. Thanks for the recipe. I love a good vanilla cupcake – these are beautiful! Ohh these look wonderful, love the way you decorated them, with the Pearls. I will have to try these! Yes, those are great looking cupcakes. I prefer chocolate. These sound delicious and they are cute. I love to cook, but I haven’t made cupcakes in years. I love cupcakes! They look so delicious. The pearls just step up the presentation hah! They look so fancy and lush! Those look so pretty and absolutely yummy. I would love to make these for any special occasion. These look so good, I will have to try it. These are so pretty. They look like bakery cupcakes. I’m sure they taste much better though. I wish that I could bake, I’d try these. These look so good! I don’t have much success baking though. Why don’t mine ever look as good as the photos! Not going to stop me making them though! Looks delicious! Not so good for my diet plan though 🙁 Will try it out anyways. 🙂 Thanks!